The team have been going from strength to strength in recent times, and the new strategy they have adopted is a key reason. 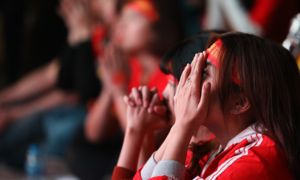 Vietnam exited the Asian Cup after losing 0-1 in the quarterfinals to Japan in a game in which they played very well. The defeat to possibly the best team in Asia was not just another loss; it taught Vietnam lessons and helped them gain experience. 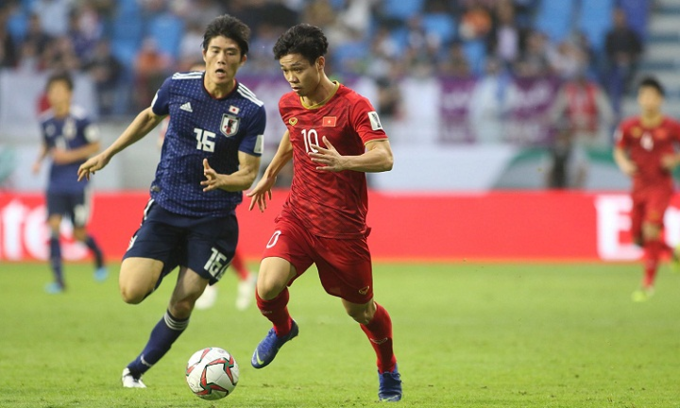 It was a test of mental strength and strategy, and the fact that Vietnam went toe to toe with Japan showed they are headed in the right direction tactically. 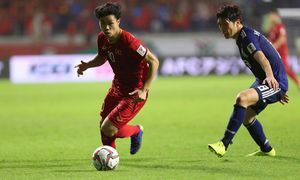 After their success in the U23 Asian Cup and the Asian Games last year Vietnam were riding high, but many believed it would be just temporary. Vietnam went on and won the 2018 AFF Cup to secure their place as the best team in Southeast Asia. But the region has always been considered the weakest in football. 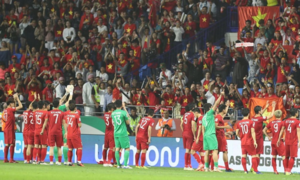 Soon afterwards Vietnam had the chance to prove themselves at the continental level in the Asian Cup in the U.A.E. and were placed in a tough group with teams like Iran and Iraq. Vietnam lost to both Iran and Iraq despite playing well. A victory over Yemen in the last match saw them advance to the round of 16 as one of the four best third-placed teams. Against Jordan, who had topped their group by beating Australia and Syria, they showcased a style of play that gave their opponents a hard time, and eventually won in a penalty shootout. They played well against Japan and only lost through a penalty. Their impressive progress has instilled great belief in Park’s players. 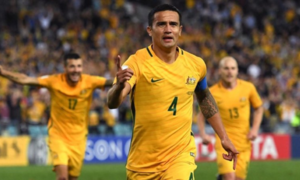 They went to the Asian Cup with diffidence not knowing where they stood in the pecking order since they had not often crossed swords with the continent’s top teams. But they discovered their level is very close to that of the strongest teams. What is the style of play they have been adopting with such success in recent times? Counter-attacking is the answer. It is easy to see that a team like Vietnam cannot play all-out offensive football. The previous coach, Nguyen Huu Thang, chose that style of play for the team and failed. Another ex-coach, Japan’s Toshiya Miura, also failed after getting his team to try and play long balls. It did not suit the Vietnamese players’ physical attributes since it requires tall, strong players. Park Hang-seo has brought a totally different strategy: attacking on the break. First, let’s take a look at the formation that Park chose for the team. Since the U23 Asian Cup last year Vietnam have been playing with five defenders. His thinking was that the physique of his players would not allow a four-man defense to cover the entire space. Thus, even when the two full backs run forward to assist in the attacks, there will still be three center backs in case of counter-attacks. Park also focuses on the midfield since a high-pressing game requires great fitness and is vulnerable on the counter. 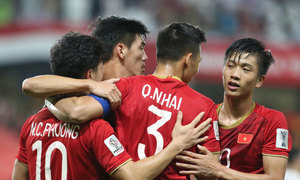 A defensive game will not suit Vietnam either since they would be susceptible to high balls and crosses, especially against bigger and taller opponents. With their 5-4-1 and midfield press, Vietnam might get less possession but can control the pitch. The point of this strategy is to stop opponents from running freely down the midfield, with a midfielder ready to put in a tackle when his opposite number gets the ball. This would force their opponents to pass the ball down the flanks, an altogether easier space to control. This photo shows how a Japanese player, forced down the right wing, has no option but to pass backward since all his teammates in front are marked. What happens when Vietnam get the ball? In the Asian Cup, Vietnam used players who are small but have great skill to run into narrow spaces. Of course it is not easy and requires the player to have the vision to detect these spaces before the opponents discover them and close them off. It also requires one-touch passes and accurate through balls to the striker. Think Iniesta, Xavi or David Silva. But some of the players like Nguyen Quang Hai, Phan Van Duc and Nguyen Cong Phuong did well in this role. Duc has a similar style to that of German striker Thomas Mueller, who invented a position called "ramdeuter" (space investigator), an unorthodox winger whose primary role is to find small spaces and use them to score goals. 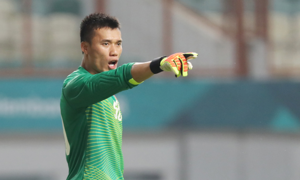 Hai was quick and creative and showed great vision, often managing to slip even two or three markers and providing pinpoint passes into the small spaces. But it was Nguyen Cong Phuong, the center forward, who immensely benefited from this role. He was excellent through the Asian Cup and the Japan game was probably the best of his career, as, with his great dribbling skills and close control, he broke repeatedly through the defense. This was typical of Vietnam’s style of play. Hai has drawn the Japanese midfielder and cleverly passed to Phuong. The center forward then used his dribbling skills to go past a Japanese defender and create a chance for Vietnam. Phuong’s ability to turn and change direction often left defenders chasing shadows. They had two difficult options, whether to remain in position or keep following Phuong, both of which opened up gaps in the defense. 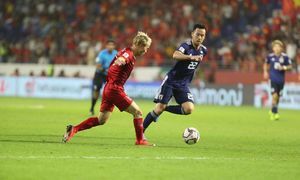 Vietnam are playing modern football in terms of strategies and tactics, but also have much to improve. They try to exploit space but also end up giving space to their opponents. 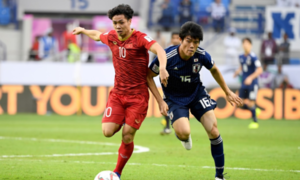 Japan played a through ball and a player was able to run into the Vietnamese box forcing Bui Tien Dung to tackle him and give away the penalty. The Japan match showed two main problems with Park’s system. Firstly, the midfielders failed to maintain a proper distance between each other and were not synchronized, thus exposing spaces. Secondly, the communication between the defenders and midfielders were not good. In situations like that, the defenders need to be quick to ward off possible threats, but obviously it is best that the midfielders break up attacks first. What Park needs to do is find two midfielders who are also strong in interceptions and tackling besides distribution since Hai cannot do all the work in the midfield. He needs to play close to the opponent’s box. The attackers need to work on their finishing and convert more chances. In the medium term clubs must discover new players in their youth systems who can fit into this strategy. For years Vietnam have been struggling to identify and stick to a style of play they can all their own. With the constant success under Park’s lead throughout recent tournaments, maybe it’s time to improve and perfect that style of play, so that Vietnam can reach the same level as regional top teams, and stop being called a "phenomenon."